Bob Pirnie’s many talents are illustrated in more than 40 years of industry service and achievement. His capacity to accept and sponsor change for the good of the industry and the good of the customer led him to become a widely respected leader in the industry. Graduated from Sacramento Junior College in 1942, Pirnie served in World War II as a B-25 pilot and received the Distinguished Flying Cross and three air medals after 57 combat missions. After the war, he earned a degree from the California Institute of Technology and began his telephone career with Kellogg Switchboard and Supply Company. Pirnie purchased the Union Springs Telephone Company in Alabama in 1955, introducing the first telephone service in the area. In 1985, he founded Ropir Industries, Inc. a holding company for his other interests: Pagosa Vision Cable TV, Call Points, Com-Link Cable TV, and Com-Strat, Inc. Continuing his personal quest to provide the best service with the latest technology, Pirnie founded International Material, Inc., a two-way radio communications company in 1987 and formed a partnership with ALLTEL in 1990 to provide cellular service for southeastern Alabama. 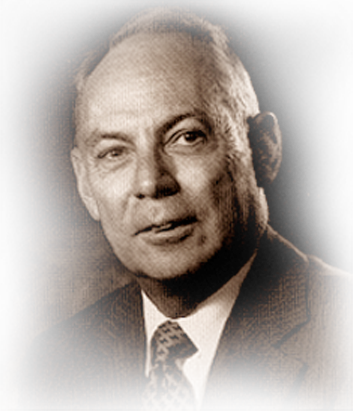 One of the founders of the Organization for the Protection and Advancement of Small Telephone Companies, Pirnie served as its president in 1967. He served as president of the Alabama-Mississippi Telephone Association from 1968-1969. He was a member of USTA’s board of directors from 1979-1990, serving as its president in 1982. A long time supporter of ITPA, Pirnie served on its board for many years. He was named director emeritus in 1990. Pirnie’s contributions were recognized by his peers in 1986 when he was awarded the industry’s highest honor, USTA’s Distinguished Service Medallion. He died in 1991.